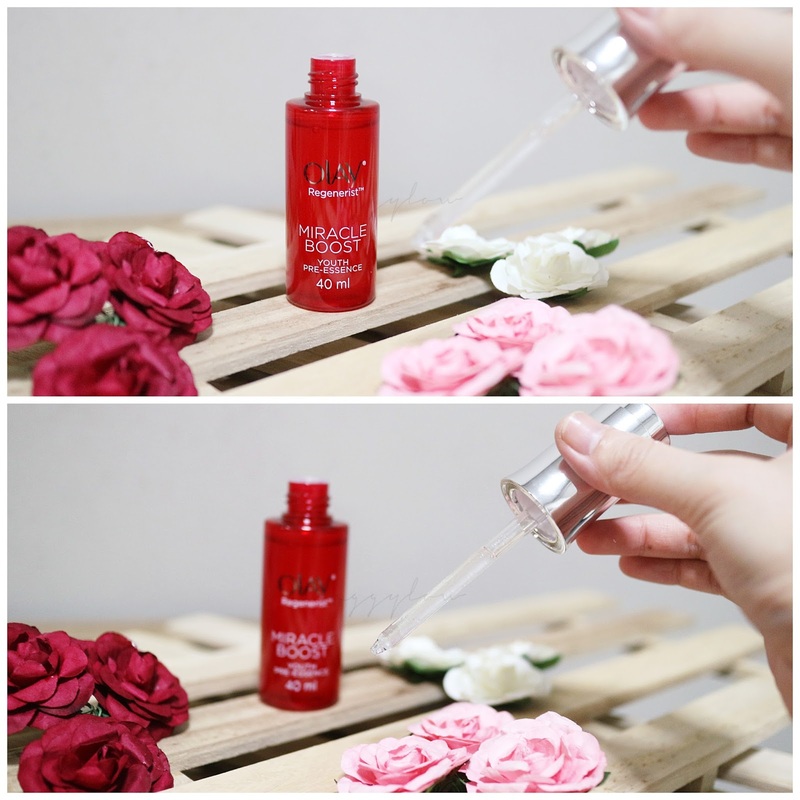 Be your best beautiful with Olay Regenerist Miracle Duo! Now that I am 25, I feel that my skin is currently at its best but one very obvious factor that I noticed which makes my skin so vastly different as compared to when I was 16 - it dries up in air-conditioned room quite badly at times and I find myself slapping on more moisturiser as compared to before. After doing some research, it was proven that many women first notice the signs of aging in their mid to late 20s when fine lines (called crows feet) start to appear around the eyes. By the age of 40, most women will notice the first deep lines around the mouth and eyes appear as the skin loses its elasticity. Sigh.... see the irony of this? When we were younger, we can't wait to grow older and have better skin. Thankfully with the quick advancements in technology, things are quickly switching up in the beauty industry and now we have products to help us age beautifully and effortlessly. Newly launched this October in their gorgeous new packagings, the Olay Regenerist Miracle Duo renews the skin from deep within, plumping the surface cells for a dramatic transformation without the need for fillers! 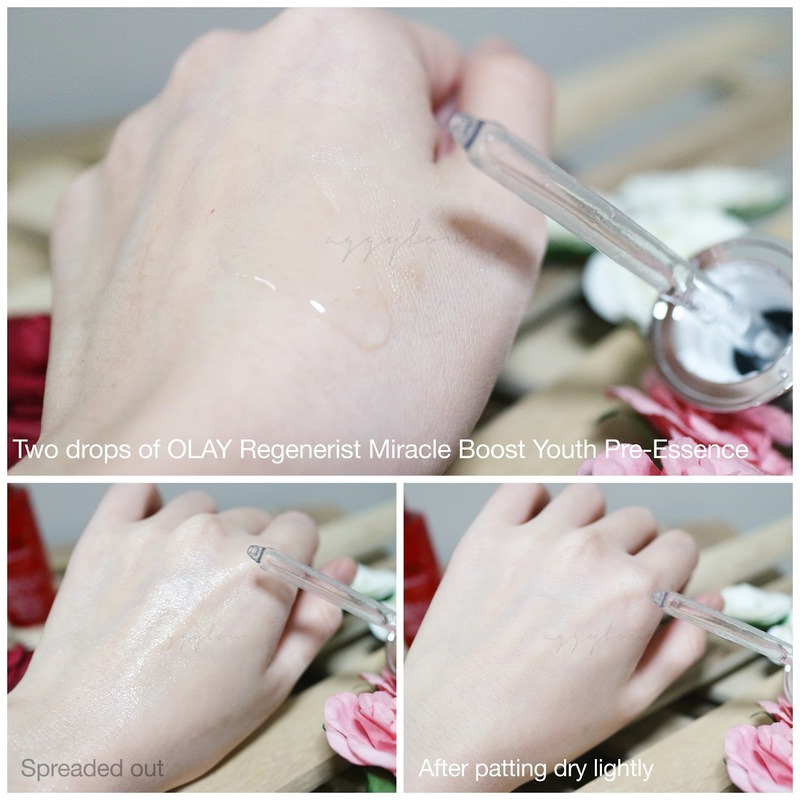 Consisting of the Regenerist Miracle Boost Youth Pre-Essence and Olay Regenerist Micro-Sculpting Cream, the Olay Miracle Duo works hand in hand to help solve our aging skin concerns! OLAY aims be the force of beauty to empower women to never settle for less than their best beautiful and to believe that skin transformation for women of all ages is possible! Woking with advanced science, they strive to come up with products that consumers can believe in with proven results and of course to OLAY, healthy skin is one that is radiant, soft and smooth. They stick to the idea that having good skin is the foundation of all beauty and that every single woman deserves access to the best skin care with the right science, aesthetics and knowledge! Regenerist Miracle Boost Youth Pre-Essence! I must say that I was so intrigued by its unique auto-dropper packaging! I find this really useful because it helps to ensure that exact and right amount of the pre-essence needed for every use and application is delivered. It is said that the very first drop will help kickstart the renewal of a million surface skin cells and to help boost elasticity and visibly reduce fine lines, wrinkles and pores! During my first try of the Regenerist Miracle Boost Youth Pre-Essence, I squeezed the dropper a little too hard and about 2 drops of the essence was dispensed. The essence was surprisingly slightly runny and easy to spread. It does not sit on the skin and was absorbed pretty quickly. It is recommended to use the Miracle Boost Pre-Essence in your skin care regimen after cleansing your face with the cleanser and before using the Micro-sculpting Cream. One of the key factors of the Regenerist Miracle Boost Youth Pre-Essence is that it is made to help boost the absorption and penetration of anti-aging actives of our moisturisers when applied together for a total skin and cell renewal from deep within! It is best coupled with OLAY’s award winning Regenerist Micro-sculpting Cream which will help further deliver TWICE the penetration and absorption of key-active ingredients into our skin's epidermis for a more youthful, healthy and radiant-looking skin. Loved by many, this anti-aging moisturizer is formulated with advanced Amino-Peptide Complex which helps to penetrate deep into our skin's surface to visibly reduce the appearance of wrinkles, hydrating and renewing the skin to firm and lift, as well as helping retain our skin’s youthful surface contours. Applied the cream onto my skin and though it is of a pretty creamy texture, it is extremely spreadable and again, absorbs quickly into the skin. I'm quite excited to see the long term results of this product as it is said to help reduce the look of up to 10 years of wrinkles within a time span of just 4 weeks!! Other than providing hydration to deal with lines and wrinkles, this product also helps to renew the skin’s surface layers for a smoother texture and more refined pores, assist in gentle exfoliation for smoother skin and also boost elasticity to help plump and firm the skin. It is recommended to use the Micro-sculpting Cream after applying the Miracle Boost Pre-Essence in your skin care regimen. The Miracle Boost Pre-Essence is meant to be applied after cleansing your face with the facial cleanser. When applied on your skin after putting on the Regenerist Miracle Boost Youth Pre-Essence, it is said that the anti-aging actives of the Micro-scuplting Cream will be better boosted for the absorption and penetration into the skin's surface for a total skin and cell renewal from deep within! 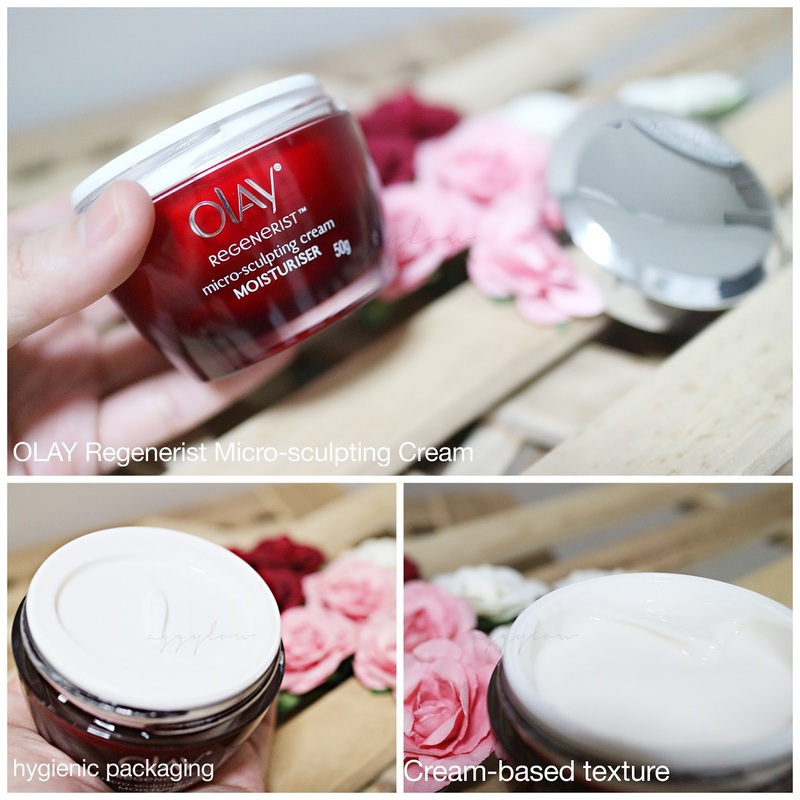 As I am 25 this year, I would say that using OLAY REGENERIST MIRACLE DUO (consisting of the Miracle Boost Youth Pre-Essence and Micro-Sculpting Cream) is generally sufficient enough to help my mild aging skin issues! I really like how light these products feel on my skin and their scents gentle and relaxing which is perfect to have on after a long day of work! Super excited to see how these products can help me to entirely curb my aging skin worries in the long run and better yet, prevent new signs of aging from appearing! 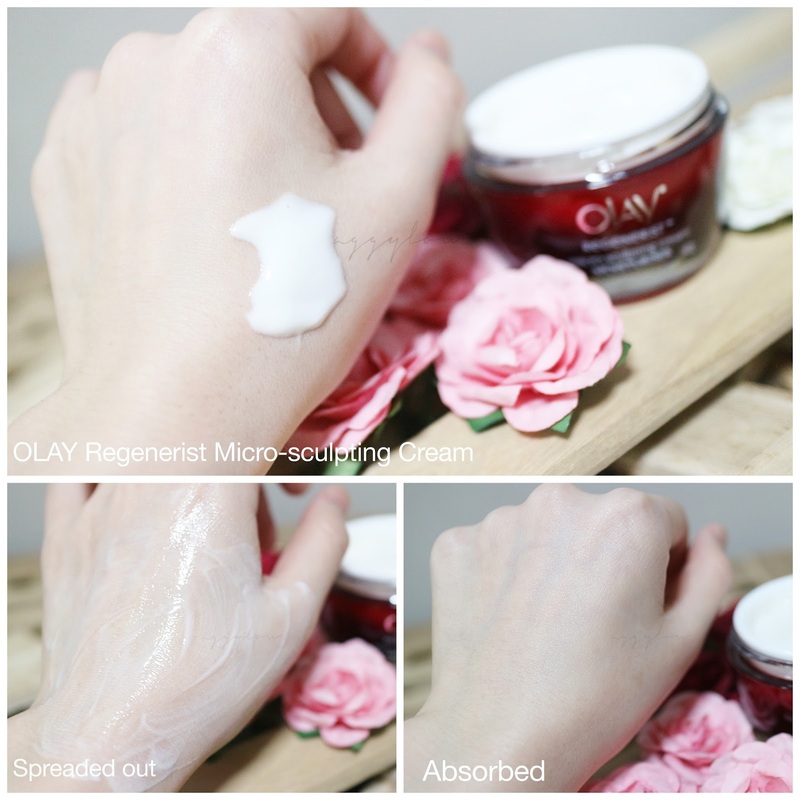 how about give the OLAY Regenerist Miracle Duo a try? For more information, do head to : OLAY's website to find out more!